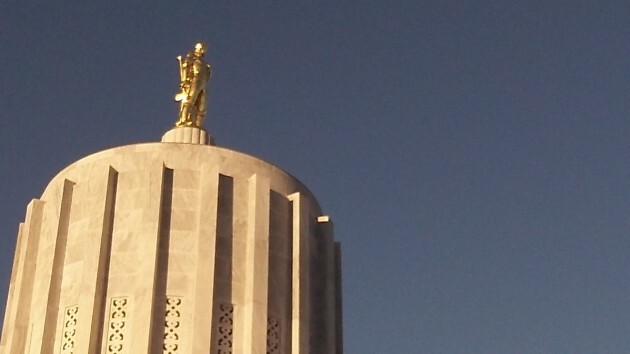 The Oregon House likely will vote to pass the ban on ivory sales. The Oregon ivory bill, you will not be surprised to learn, is alive and well and on its way to becoming law. It’s an example of the majority party’s tendency to create new crimes out of transactions that until now are legal under Oregon law because they do Oregon no harm. The bill is SB 913, and it creates the offense of “trafficking in animal parts.” The animal parts at issue are rhinoceros horn and ivory from elephants and extinct mammoths, as well as products made from them. The Senate passed an amended version of the original bill on April 28 by a vote of 19-11, and the House Judiciary Committee plans to act on it on May 20. When the bill becomes law, it will be a crime to sell, buy, possess with intent to sell, or import for sale or purchase any ivory, rhinoceros horn, or products made from either. The idea is to discourage poachers in Africa from slaughtering elephants or rhinoceroses to take their tusks or horns. Evidently the backers of SB 913 think those poachers, who already risk being shot and killed if caught in the act, are going to stop now that they know Oregon disapproves of their unsavory trade. The immediate effect will be felt not in Africa but in Oregon workshops that make or deal in trinkets of this kind, including those who use mammoth tusks from animals that died thousands of years ago. They’ll be out of work. The bill was massaged to exempt certain items containing ivory, such as knives, musical instruments and guns, but the exemptions are limited and convoluted. For example, if you want to sell a violin bow with ivory inlay without getting into trouble, you must “establish by documentaton” that the item was made before Jan. 18, 1990, and you must show that the ivory makes up less than 20 percent of the bow “by volume.” If it’s a gun or knife you’re trying to sell or buy, the seller has to show the item was manufactured before 1976, and again the ivory component must be less than 20 percent of the item by volume. Good luck proving the percentage of the volume of an old revolver that the ivory sides of the grip make up. There’s an exemption for zoos as well. Somebody must have realized that without the exemption, the Portland Zoo could never get another elephant, at least none that has tusks. Come to think of it, that would not be a bad thing. Those big animals in their enclosures always look terribly sad. They were born in captivity, but they always look as though they have some innate longing for the savannah or jungle where their ancestors lived. And by the way, the amended bill would not take effect until Jan. 1, 2017, giving everybody trying to acquire or unload ivory more than a whole year to complete the sale. Well I guess since they’ve solved all the rest of Oregon’s problems they feel they can go on to solve those problems that don’t exist. The worst thing about career politicians is that 95% of them give the rest a bad reputation. Maybe next they will go after dihydrogen monoxide. It’s high time the possession and/or trade of this deadly chemical was outlawed. If only one person is saved it will have been worth the effort! I’m going to write to my representative! I have a long time friend that has a considerable amount of ivory, all purchased by legal means since the early 70’s. He’s a scrimshaw artist and last I knew, he still has a considerable inventory. Now, it appears he will have to go to GREAT lengths (if still possible) to prove his ivory was purchased legally (much of it from the Kenyan National Park Service) and I’ll bet he’s hoping he can still prove how he acquired the bulk of it because if he cannot…..he could well find himself on the wrong side of the law….just as your article title suggests….. No mention of the proposed penalty. Prison time? As I understand it, the USA already has federal laws on the books to regulate Ivory commerce and what our fools in Salem hope to achieve with this legislation escapes me. There IS important work to be done in Salem so what the hell they’re doing this for is beyond me as well. What a waste of time and oxygen our legislature has become. Nothing but HOT AIR! ivory product or rhinoceros horn product, whichever is greater. Thank you Hasso for the info on the proposed penalty. There must be some sort of clause that allows previously held ivory “grandfathered” and allowed in this measure because if the legislature doesn’t think this through, we will indeed be making criminals out of law abiding citizens, including my friend who is as law abiding person as anyone I know. My friend took great measures to see that his products did NOT come from poachers and he /was/is proud of that. To make his holdings illegal without FULL COMPENSATION for its value is in itself a crime in my opinion…by the State of Oregon…should this bill become law. God help us all. I’ll be giving him a call to ensure he knows about SB 913 and what he could well be facing. This is RIDICULOUS! Also, no mention of whale ivory? Who in the senate has whale and narwhals ivory? That’s the answer to how that changed. Wow. Good to know I can harvest grand pa’s teeth. As far as the penalties, how do you establish the market value for something for which a market is not allowed? But I am glad that we are going to slow the killing of mammoths for their ivory. It’s about time !